Have you Been the Victim? Employers may sometimes request your credit and related personal information in the form of a “Background Check Report”. The other personal information includes your criminal, education, employment, and driving history. Specific guidelines in the Fair Credit Reporting Act (FCRA) limit how employers can obtain and use a Background Check. 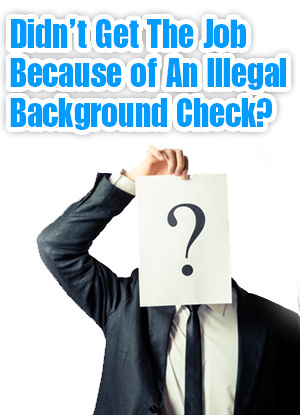 Have you ever asked…How far back do background checks go in Pennsylvania? – Applicants who are rejected for positions on the basis of a criminal background check have three hundred (300) days to file a complaint with the Philadelphia Commission on Human Relations. IF YOU BELIEVE YOU HAVE BEEN A VICTIM OF A BACKGROUND CHECK THAT DID NOT COMPLY WITH FEDERAL LAW, CONTACT US AS SOON AS POSSIBLE.